A Yacht Charter Vacation in The Kimberleys, Australia. Few places in the world are as spectacular as The Kimberleys in North Western Australia and the best way to enjoy them is from the ocean on an Australia yacht charter vacation. 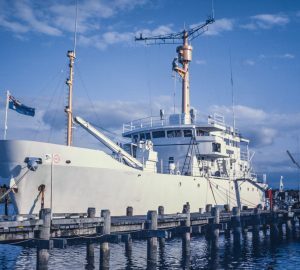 The majestic promise of The Kimberleys yacht charter is difficult to put into words. The only thing one can know for sure is that you’ll be blown away! From the majestic waterfalls and the stunning beaches to the soaring cliffs and rushing gorges, The Kimberleys are as beautiful and remote as anywhere you’ll find when traveling. On a Kimberleys charter yacht one gains unparalleled access to the intimate heart of The Kimberleys region. These are, without a doubt one of nature’s greatest achievements. 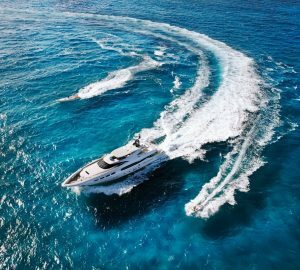 Your Kimberleys luxury yacht charter itinerary could be divided into two sections of one week each, consisting of the North and the South. 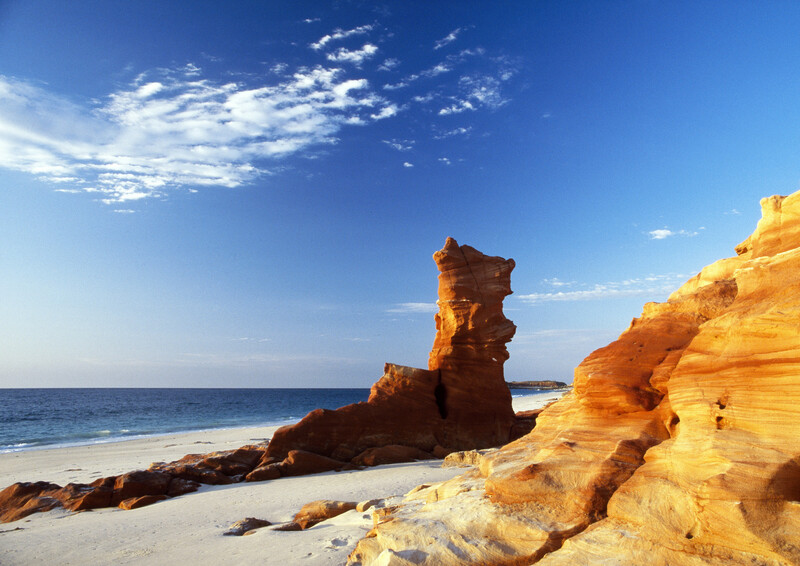 A southern Kimberleys itinerary could begin in the seaside town of Broome and end at the majestic Mitchell Falls. Broome is the perfect introduction to what lies ahead on a Kimberleys yacht rental. Broome’s endless white beaches are fringed by the turquoise waters of the Indian Ocean, strikingly contrasted against the red sands and cliffs that characterise the Kimberleys. The Southern itinerary could include highlights such as Montgomery Reef, The Horizontal Falls and King Cascade Waterfall. Hop on your Kimebrleys charter yacht's tender, travel up river to rugged gorges; see salt water crocodiles; pull in a barramundi or two (hundred) and breath in the spectacular west coast sunsets. Your southern Kimberleys week could end with an awe inspiring helicopter ride over the Mitchell Falls. For those who would prefer to see the North on their Kimberley yacht vacation, could fly into Mitchell Plateau and head north from there. Some of the highlights of the north Kimberleys include The Mitchell River, The Bradshaws and Ancient Aboriginal Art and the spectacular King George Falls. If you have two weeks for your vacation, enjoy a leisurely cruise of the full Kimberley region on a luxury charter yacht. The contrast of The Kimberleys and a luxury yacht is quite impressive. The land - so vivid, remote and rugged; The yacht - the ultimate in first world style and luxury; The food and wine - absolute gourmet; and of course the sunsets – they just don’t get any more spectacular. The best time for a Kimberleys yacht holiday is from May to September. 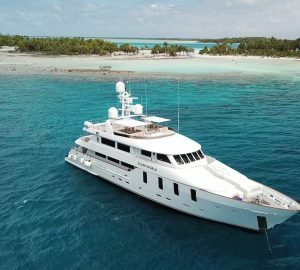 View Kimberly charter yachts here or enquire with us here about the range of luxury crewed motor yachts available in the region (such as motor yacht TRUE NORTH shown in the photo below) and prepare for the charter holiday of a lifetime! 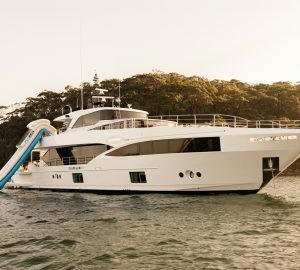 Below is a selection of Australia charter yachts - don't hesitate to contact us for more information and the full, updated list of superyacht available in this region. The Kimberleys is difficult to put into words. Explore Location Guides for great destinations near The Kimberleys .